Raptor 4" oval black nerf bars are made from a heavy duty 4" oval steel tubing. Each board features a raised stepping pad for extra safety. Supporting up to 500 pounds, these nerfs are super secure. 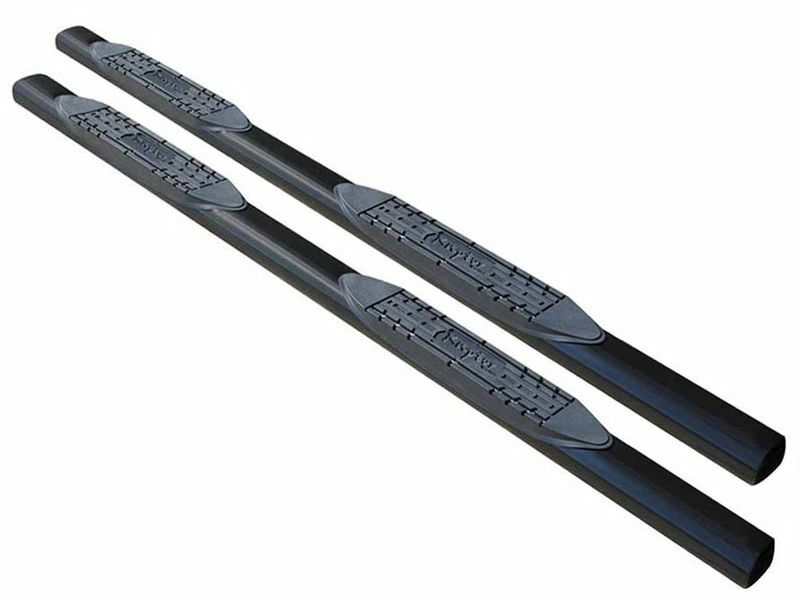 Coated in a durable black powder-coat, the Raptor 4" oval black nerf bars are sold in pairs. With custom fit brackets, there is no drilling required. The 4" oval step bars are backed by a ten year warranty. Make the choice to give yourself, friends, and family a safer, more secure step up into your cab. Order a set of 4" black oval nerf bars today!